Let me make this disclaimer first: I am not a medical professional. I haven’t received official conclusions from my doctors yet. This story is 100% based on my personal experience since November 2016. That is the time I was told I had fibromyalgia. However, one year later, I do not believe I have fibromyalgia and this is my story on why. I am a research junky. But in a good and intellectual way. I don’t believe everything I read on the Internet. 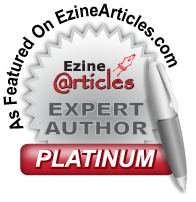 Depending on the subject, I will read articles and blog posts from reliable sources. Some sources have been personal testimonies as well which for me are still reliable based on a particular subject matter. In the case of medical experiences, I do read many blog posts and articles about people who share their stories. In November 2016, I was told I had fibromyalgia. I went to a rheumatologist and had some blood work done. The doctor had a rule for initial evaluations. She didn't believe in prescribing pain medications as the first line of treatment. She told me to shift my diet. No wheat. No sugar. No sugar substitutes. She also gave me papers on how to do detox baths and breathing techniques for relaxation. Once the blood work came back, it was discovered I had certain food allergies to cow milk, eggs, soy, and wheat. Although I shifted my diet, I still experienced pains, fatigue and other symptoms regularly. My husband really was concerned because he really was afraid to touch me because I was so sensitive on certain parts of my body. So, I started a deeper research journey because the rheumatologist closed her office. I only was able to visit her twice but both visits was very informative. Her decision to not put me on medications helped encourage me to continue my research and strive to understand if what I had was really fibromyalgia. This led me to join special Facebook (FB) support groups and follow certain blogs. In August (2017) there was a special post about an article within a FB group that grabbed my attention. I read this article and it was very interesting. This woman was told she had fibromyalgia for years. After medications and diet changes, she still was just not feeling the way she needed to. She also stated that she realizes some people really do have fibromyalgia. However, for her, she just wanted another doctor’s opinion. She got one and it was discovered she had been exposed to black mold for a duration of time. She basically had built up toxins in her body and she needed to have some major detox. Even at the time of the article, she still was undergoing tests and detox treatments. However, she had major health improvements which prompted her to write the article. Ironically, when I read this article, something was happening for me. I had started using my air purifier in our bedroom. I hadn’t used it since moving into our home which was over 2 years ago now. I honestly started using the air purifier because I was having some allergy issues. But when my allergies wasn’t improving like I thought they would, I went to see my primary care physician (PCP) and she told to change up my allergy medicines that included a nasal spray. But she also prescribed me antibiotics, just in case. Not a lot; just for a few days. Throughout the next couple of weeks, I noticed a rapid decrease in my body pains. I honestly thought I was going crazy because I wasn’t use to having so much energy without the pain. At first, I thought maybe antibiotics were helping. I asked my PCP and she stated antibiotics can’t help with fibromyalgia. Then I remembered the air purifier and the article about the mold exposure. I soon did an in-home mold test kit for our master bathroom. I know areas of constant moisture and all can cause mold to be produced. It wasn’t like we live in dirty surroundings! After reading and researching, even the cleanest areas still can use another cleaning. I ran the test and there was growth within 48 hours! I immediately began to do some major cleaning and disinfecting; getting the recommended mold remover based on that in-home test kit. My thoughts are: I was exposed to mold and other airborne allergens that was finally taking it's toll on my body. As I stated in the beginning, I cannot confirm all that I’ve experienced yet because I still have an appointment coming up with my doctor. However, I can honestly say, since changing my environment and diet, there has been a MAJOR change in my body! I know toxins are all around and it’s hard to be completely free of toxins. However, I wanted to do this post for a few reasons. I wanted to share my experience to help others. I recommend to anyone who may be experiencing unusual sickness to check their environments, e.g. home, work, etc. Choose to eat healthier. I mentioned how toxins are all around us. The build-up of toxins in our body can increase more rapidly if we keep eating foods that are toxic to our health. I’m not perfect by no means! I’m not a vegan, vegetarian, or nothing like that. I am more mindful about what I eat every day. I also prayed! I asked God if there’s something else, help me. I didn’t know what I would find or how God would lead me. But I do believe He did! Even my husband has noticed a huge change in my energy level and the way he can touch me now and I don’t scream ‘ouch’ anymore. The biggest testimony I can say with this: Seek God first! I truly prayed even before going to a doctor back in 2016. I never stopped praying even after that. I know people have conditions and they are legitimate. However, I still do believe that God can heal all manner of diseases – it will take us to listen to His direction how to get our healing!